Knightsbridge is, traditionally, not seen as a place where one goes to eat top-notch cuisine. Without naming names, it is somewhere with high rents and consequently higher prices, and where one can find oneself as surprised by the sky-high bill for thoroughly mediocre fare as an American tourist being charged fifty euros for a double espresso in St Mark’s Square. 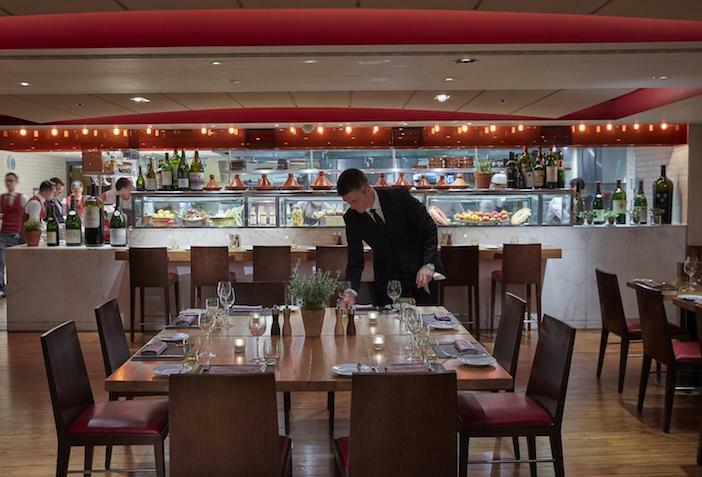 However, for the past few years, it has always had one semi-secret saving grace, and that is Bar Boulud, lurking snugly within the bowels of the Mandarin Oriental hotel. 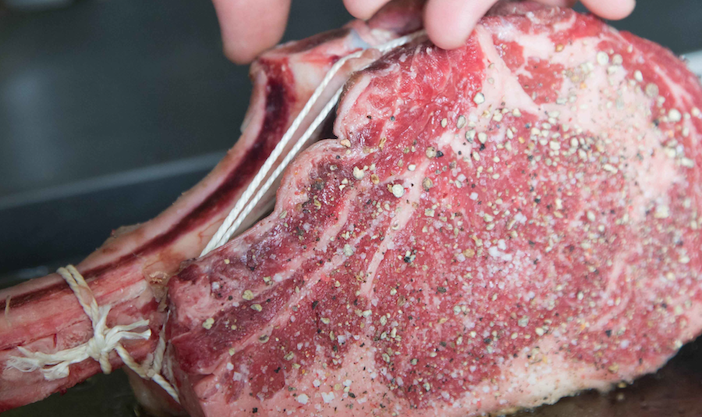 Serving some of the very finest charcuterie, steaks and what-have-you to those in the know (I saw Nigel Havers there once, which is a sign of approval for anywhere, frankly), it offered a carnivorous and French-accented haven amidst a sea of boring and overpriced fare. Then things went awry, courtesy of a fire in the Mandarin. 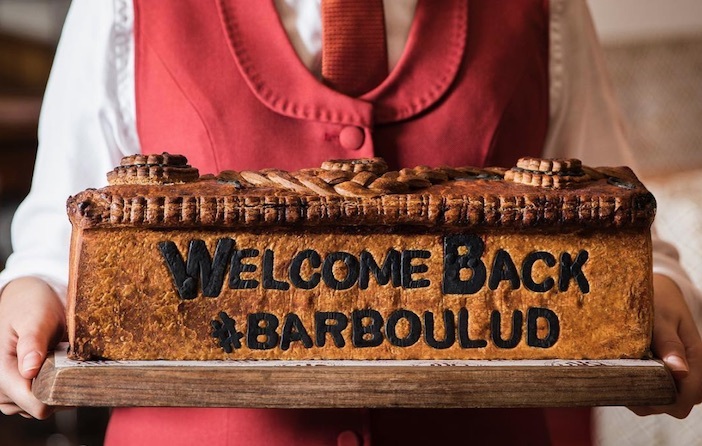 Bar Boulud, along with the rest of the hotel, shut down for refurbishments, and now it has reopened. The décor seems similar, but marginally softer and more feminine; it might be my imagination, but the banquettes and cosy corners seem to have replaced a plethora of tables and noise. Not that anyone told the couple to our right, consisting of a demure, frightened-looking woman and a loud and annoying man who seemed to be on a mission to be as obnoxious as possible to her in the most passive-aggressive of ways. (‘Have you ever had White Burgundy? You haven’t? Well, imagine Chardonnay on crack. Have you ever had crack?’ Etc) Thankfully, they are far from typical of the clientele, who are every bit the sophisticated, well-dressed and stylish denizens of the area that one might expect. But Bar Boulud stands or falls by what you eat and drink, and thankfully there’s not a duff morsel or sip to be had from the menu. Kick off with gougeres and a gin and tonic (we liked the Rosemary from Scotland, which had a suitably high-kicking taste to it), and then make sure to go hell for leather on the charcuterie, proudly curated by chef Nicholas Rafa. I doubt that there’ll ever be a time that I go to Bar Boulud and don’t order something on the comprehensive menu of pates, terrines, sausage and what-have-you; the only question is what one will have, and how good it’s going to be. Dish of the day when we visited was a pâté en crôute that was sublime in all regards, but the whole shebang was, frankly, a decent meal in its own right. Served up with a very decent Sussex white wine, a rare departure from the serious Gallic heights of the drinks list, it set the bar very high. There are desserts, which normal people wouldn’t need to eat, but it is our bounden duty. Boothby offers the soufflé, which rises perfectly and is delicious; I order the abricot fume, which shrugs off its somewhat murky appearance (‘like a beach at low tide’) to offer a fantastic assortment of textures and flavours, and the crowning glory, of course, being the vanilla choux with smoked apricot that sits, smugly, at its centre. I could have eaten it over and over again, but then I would have seriously feared for my chances of being able to walk out the door any way other than widthways. Everyone loves the story of a comeback. Bar Boulud has done that, and then some. Judging by the packed and appreciative diners – even the fool next to us – it will soon be reaching national treasure status. So pop in, settle down, and enjoy a rare treat. Bar Boulud at Mandarin Oriental Hyde Park, 66 Knightsbridge, London SW1X 7LA. 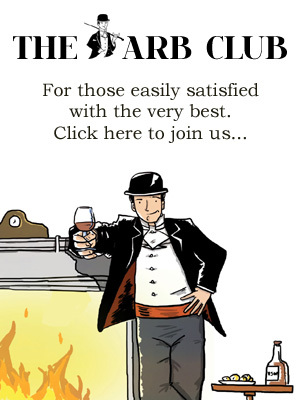 For more information, including menus and details of other venues in New York and Boston, visit www.barboulud.com.